What Treatments do Spine Specialists offer for Cervical Disc Herniations? Most disc herniations will heal with time and do not require surgery. In fact, only 5% of all disc herniation will require an operation. Over 90% of patients with a disc herniation will improve in the first 6 weeks. However, patients may have significant pain during this time and can benefit from non-surgical care. Alternative Health Care options such as Massage Therapy, Acupuncture, Meditation Exercises, and Herbal Remedies can help with the symptoms from a Disc Herniation in the neck. Chiropractic care including spine manipulation can help with the symptoms from some disc herniations in the neck. 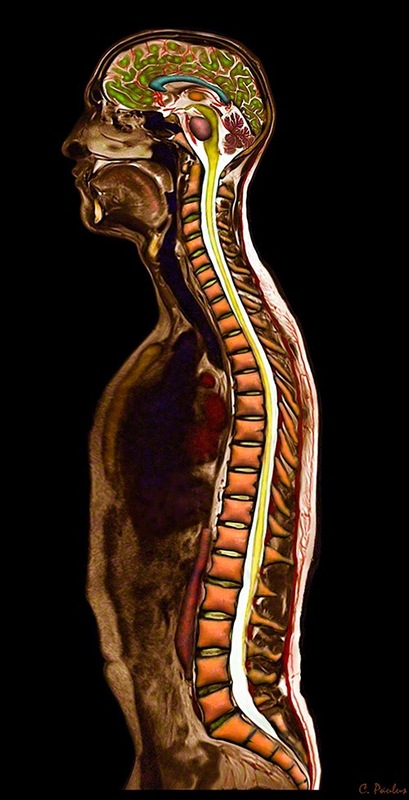 However, it may be dangerous to perform spine manipulation for very large disc herniations, specifically those which place pressure on the spinal cord. In this scenario it may be best to offer non-manipulation treatments. Spine exercises can help maintain muscle mass, tone and conditioning for this condition. Patients often guard the muscles due to pain or fear of pain. This can quickly lead to loss of muscle mass and function. PT can help disc herniations in the neck through a variety of means. This includes exercises, change in spine posture, and conditioning of certain muscles at risk for atrophy (loss of muscle bulk due to nerve damage). Physical therapists can also explain in detail what activities to avoid and which are best for a disc herniation. They also use modalities such as ultrasound and muscle stimulation to help with muscle spasms. Certain Self Help Devices such as Neck Braces and Neck Pillows can help with the symptoms from this condition. Neck braces can be useful to prevent certain neck movements which exacerbate the pain. Below are the most common groups of medications used for disc herniations. They can be used alone or in combination depending on the severity of the symptoms and the doctor’s advice. This group of medications which includes Ibuprofen (Advil, Motrin) and Naproxen Sodium (Aleve, Naprosyn) amongst many others can have some benefit for disc herniations. However, higher doses are typically needed which may be difficult to tolerate. Steroid type anti-inflammatories can be very helpful especially for nerve pain in the arm. They are usually just used for the short term due their potential side effects. Muscle relaxants are helpful when neck spasms are present. They may be able to interrupt the cycle of spasticity. Narcotic pain medications are usually reserved for severe pain or pain not relieved by the medications above. They should be used for the short term to avoid complications. These medications can be very helpful for nerve pain from a compressed spinal nerve. These medications can help with nerve pain and the depression some patients suffer from severe or chronic pain. Taking time off from activities which stress the spine is important. For instance, if work exposes a patient to overhead lifting, work restrictions may have to be placed. Staying in bed for longer periods of time has not been shown to help the symptoms from disc herniations. Typically it is recommended to do activities as tolerated except for lifting, running, excessive bending and twisting of the neck, and high-impact activities. Smoking reduces the amount of oxygen available to tissues. In the presence of a disc herniation, oxygen is needed to assist in healing from the inflammation resulting from the herniation. Nicotine may also interfere with the disc’s nutrition. In addition, nicotine appears to cause some sensitivity to pain. Sometimes a muscle which is in severe spasm can be helped by an injection with medications such as steroids or local anesthetics for relief. Epidural injections can deliver medication such as steroids and local anesthetics directly to the disc and a spinal nerve. This can help significantly to reduce the inflammation and pain from a disc herniation. Injections such as Cervical Interlaminar Epidural Steroid Injections, Cervical Transforaminal Epidural Steroid Injections, and Cervical Nerve Root Blocks are some examples of commonly performed injections for Disc Herniations in the neck. Surgical care for cervical disc herniations is usually reserved for patients who do not get better after non-surgical care for 6-12 weeks and have significant symptoms. Statistically, only 5% of patients with disc herniations undergo surgery. Exceptions are patients who have signs of severe spinal cord or spinal nerve compression, who may need urgent surgery to avoid permanent nerve damage.